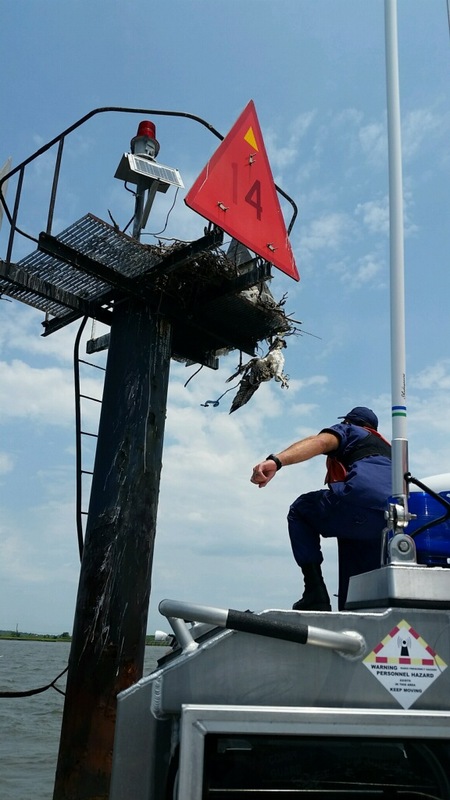 We took advantage of the break in cold/wet weather along the southeast coast of New Jersey and installed a new nesting platform for ospreys this week. The new platform was installed for a pair that previously nested on sensitive equipment used by the Rutgers University Marine Field Station on Great Bay Blvd. in Little Egg Harbor. The equipment was located on a short cluster of pilings near the boardwalk to the Station. It failed to produce young in 2013. 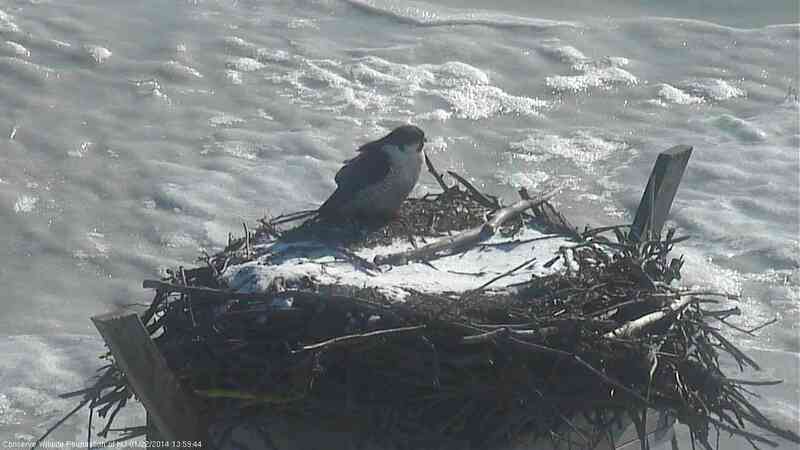 More than likely it was predated by raccoon, the main ground predator of osprey young. A large number of volunteers showed up to help out. The actual install was quite easy considering it could be accessed by the land via Great Bay Blvd. The platform was placed along a tidal creek so that biologists can easily access the nest for future surveys. 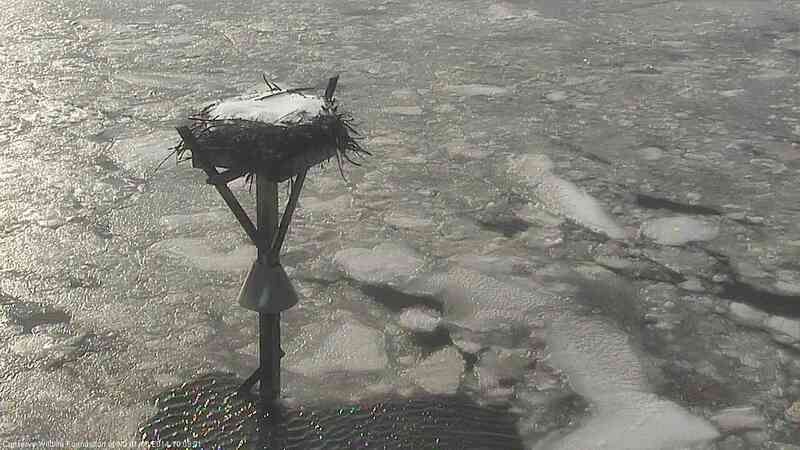 Rutgers staff will install deterrents on the old nest so birds can’t nest there when they return in late March. 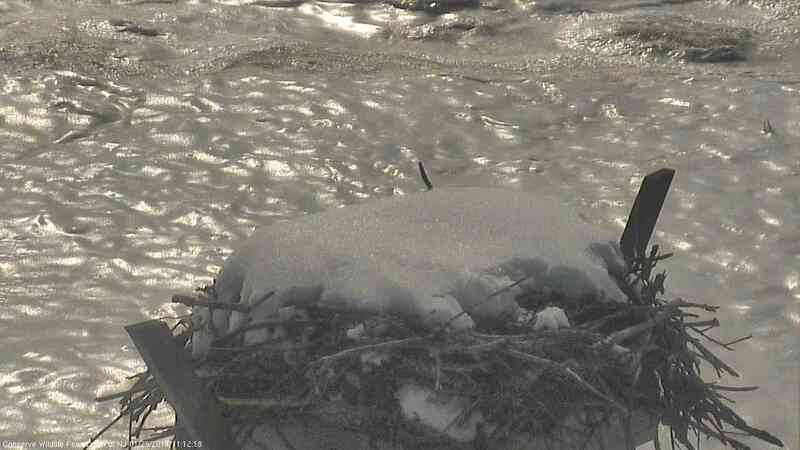 You can see the location of the nest on Osprey Watch or drive out on GBB to see it in person. Thank you to all the volunteers who came out to help! The extreme cold weather in January brought some really neat winter scenery to the coastal saltmarsh. One of the most productive ecosystems in the world is almost totally desolate in the middle of winter. 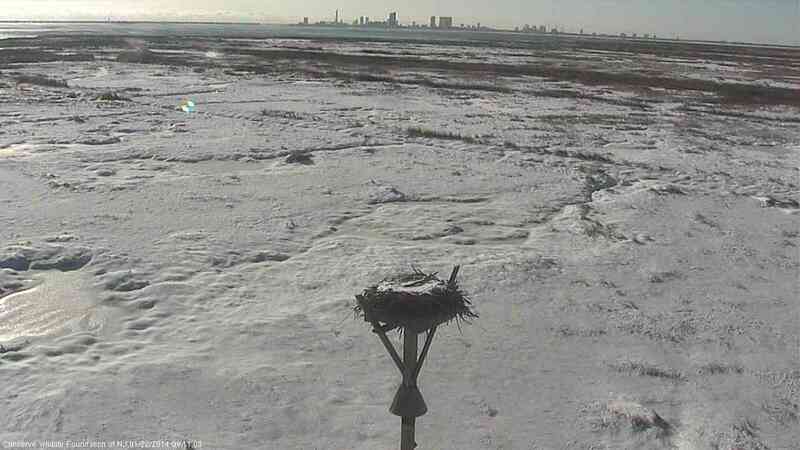 There are still a few signs of life though, which have been captured by our Osprey Cam, including top tiers predators, peregrine falcons, and herbivores, snow geese. There’s no doubt that each plays a role in the ecosystem. 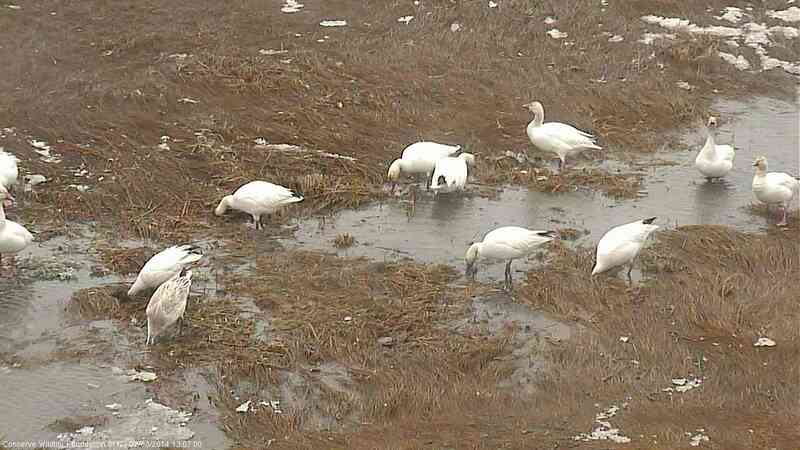 The snow geese eat any kind of vegetation that they can find and they consume any part of the plant, seeds, stems, leaves, tubers, and roots. 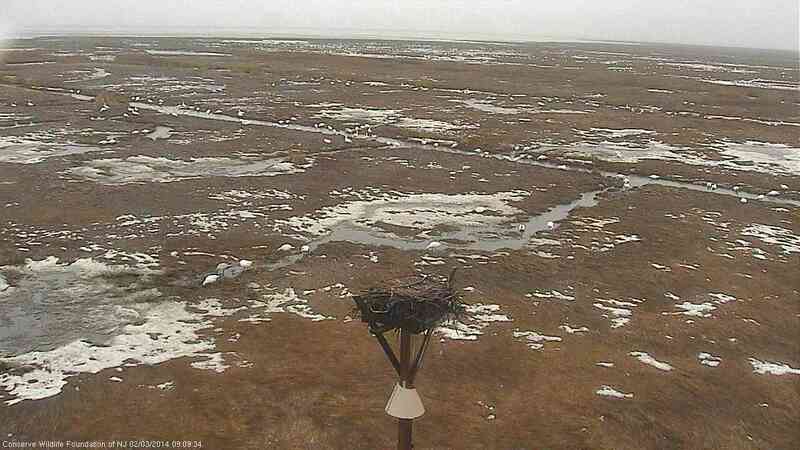 The osprey cam showed them sticking there heads underground to forage on the rhizoidial roots of saltmarsh cordgrass (Spartina alterniflora). 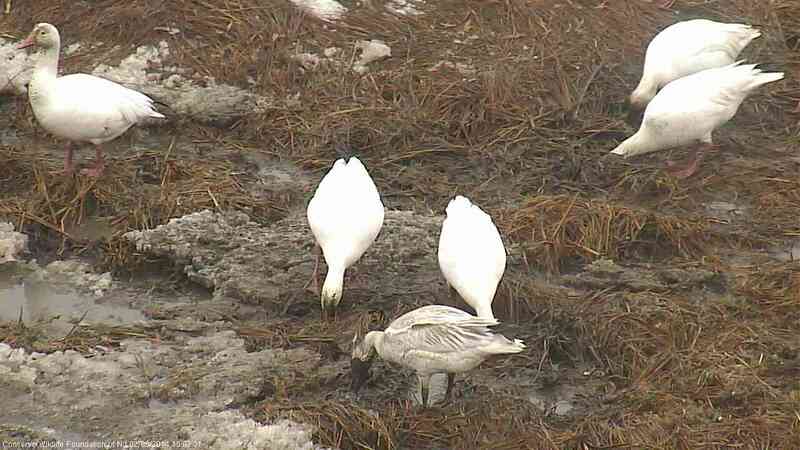 Here’s an interesting fact from Cornell University’s All About Birds website: “Food passes through the Snow Goose’s digestive tract in only an hour or two, generating 6 to 15 droppings per hour. 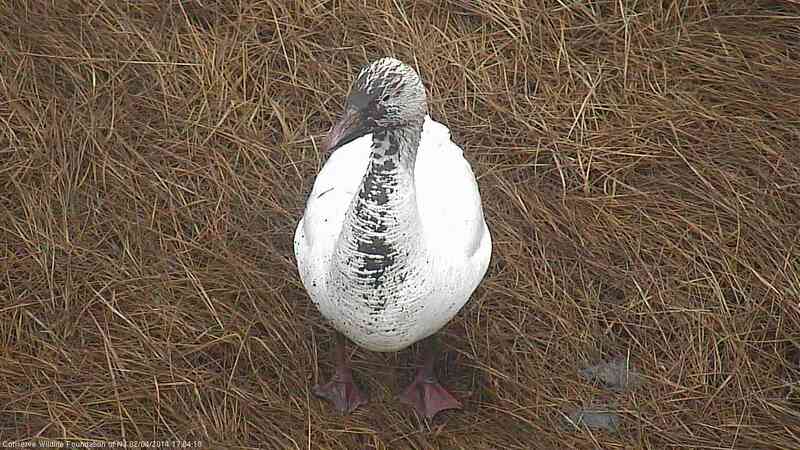 The defecation rate is highest when a goose is grubbing for rhizomes, because such food is very high in fiber and the goose inevitably swallows mud.” Their droppings will no doubt help to fertilize the marsh in the spring! A few adult peregrine falcons have been perching on the platform.